My wife Mishelle is great at finding projects for me to do. In this case, she found a picture of the granddaughter of a professor of hers. Recognizing the colorful story, she suggested I take up this project. 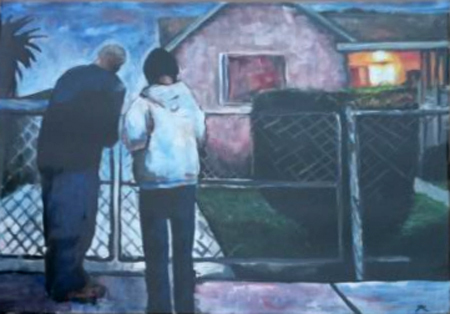 This piece was completed this past summer (2010) for Mishelle’s dad. Mishelle lost her grand mother this spring and we turned a photo that was taken into a painting as a memorial. Ultimately we wanted to highlight that the light on the porch was still on even though they (Mishelle and her dad) were closing the gate to this chapter. 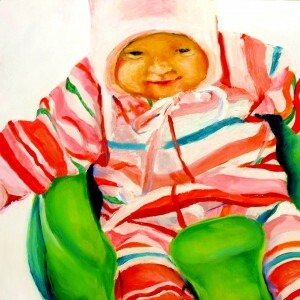 I developed this painting in order to make a submission to an open showing in Denton’s Fiesta on the square. The submissions must show an aspect of Latin American culture or be festive. I believe this Iguana is both. The title I(m)guanna sounds like “I’m gonna”. In my case it says “I’m gonna Thrive”. 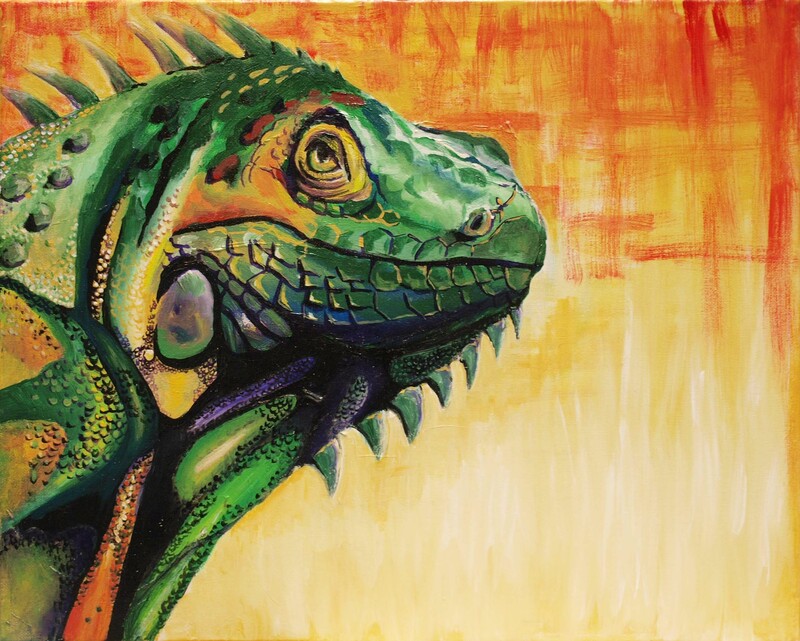 Iguanas can survive in extreme heat. It is a personal attempt to make a statement that I’m going to thrive and do well when the heat and pressure of being a successful artist is increased. 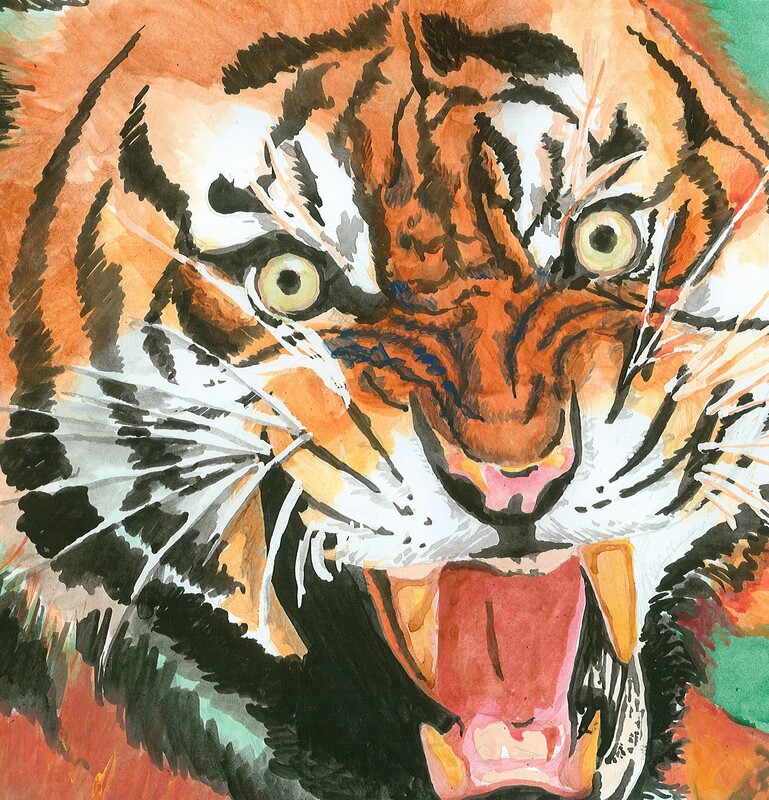 When one viewer said “I can’t look straight at it”, I felt a sense of pride being able to capture the fierceness of the tiger’s intent. Here is a logo i developed using mostly lettering. I did create the zero in the “90”. The idea was to promote the concept of growth over a 90 day period. 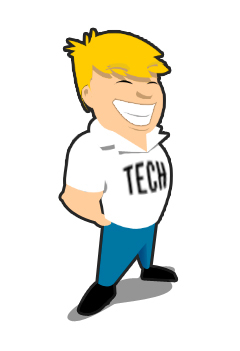 My good friend Dave (who helped me build this website) wanted an Avatar created. I drew up this character and did the trace in Photoshop (though I should’ve used Illustrator). 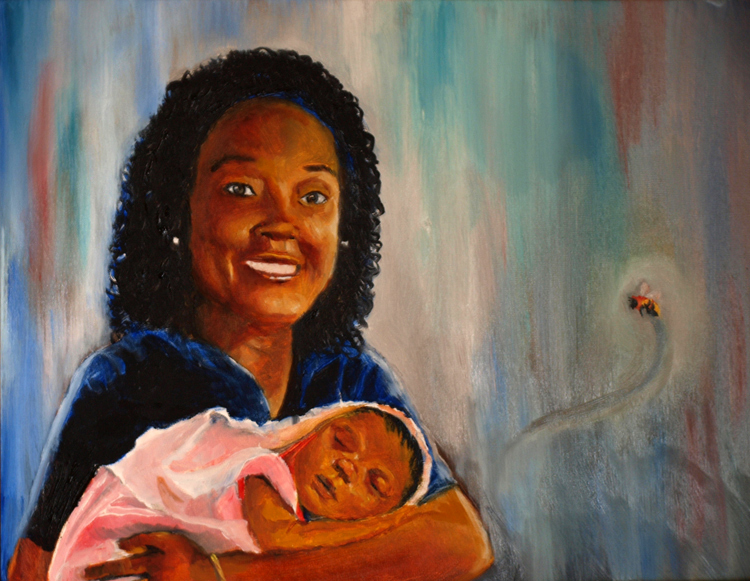 This commissioned project required that I take two photographs from different situations and create a situation where the two people can be in one painting. It is a skill that I find challenging, but it is a common request. 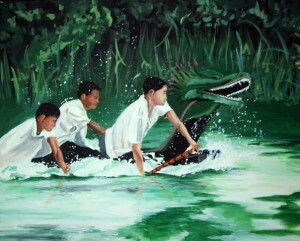 Here in this painting I believe I was successful in accomplishing this task.